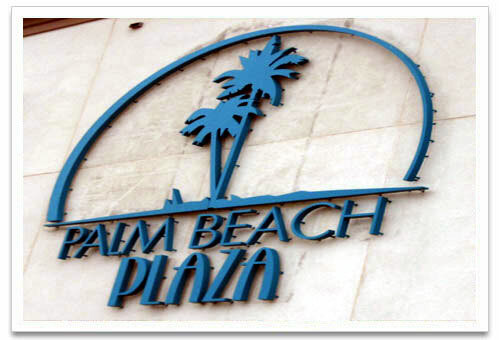 The Palm Beach Plaza Mall is located in the Palm Beach high rise hotel area of Aruba. It is about 1 block from the Holiday Inn. It is a multi level mall with a variety of shops, dining opportunities and entertainment. My family and I were there in November when they had decorated the mall for the Christmas holidays. The 1st level of the mall has a variety of shops including Skechers, Birkenstock, Havana Cigar & Spirit Bar, Touche, Shiva’s Gold & Gems, Benetton, Giordano, Aruba Aloe, Mama’s Mexico, and more. The 2nd level includes Hoshi Sushi Bar & Restaurant, Basinger, Technoland, Art Fusion, Kaffa’s Bar & Restaurant, Panache, Candyland Candy Store, Casa Tua Mediterranee Bar & Restaurant, Aruba Mega Plex Cinema with 8 theaters, and more. The 3rd level has the Food Court with Churromania, Beefes, Chubby Panda, Sciue Sciue, Bon Chicken, American Burger, Sciue Sciue, and Planet Gelato, This is also where Fun City is as well as the Palm Beach Dream Bowl. 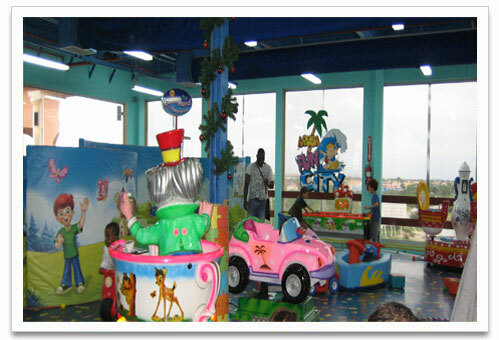 Fun City has an indoor supervised play room. 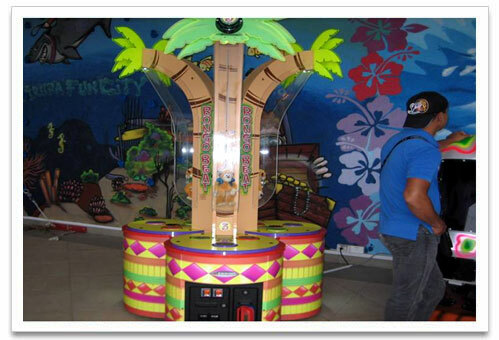 There is an electronic game zone and rides for the little ones. There are future plans to build a Rock Climbing wall and a thrilling Cable Slide on this level. 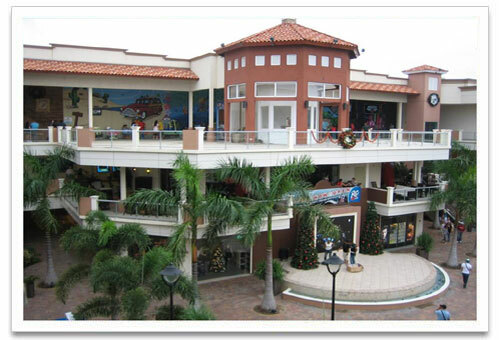 The Palm Beach Plaza Mall is there for your family’s enjoyment. 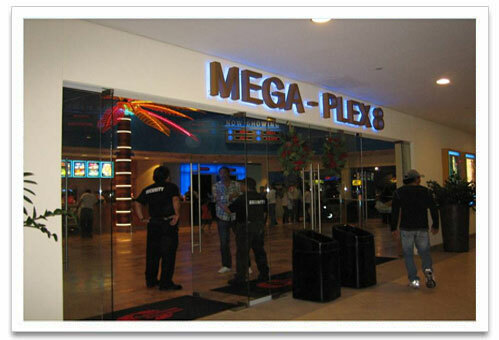 The little ones will have fun on the kiddie rides and after you shop, go bowling, and have lunch, you might want to take in a movie at the Mega Plex Cinema. The mall has elevators and a parking lot. The hours are Monday through Saturday 12 -10pm and Sunday 5pm-10pm. When we were there in November the mall opened at 10am, so check with your resort concierge on the day you want to visit. Oh...I almost forgot...Take a look at what we found parked in the parking lot of the Palm Beach Plaza Mall. Interested in more? 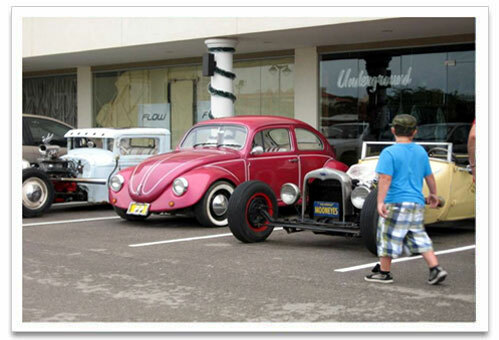 Check out the Paseo Herencia Mall.